Dr. Ashok Sharma founded Pt. 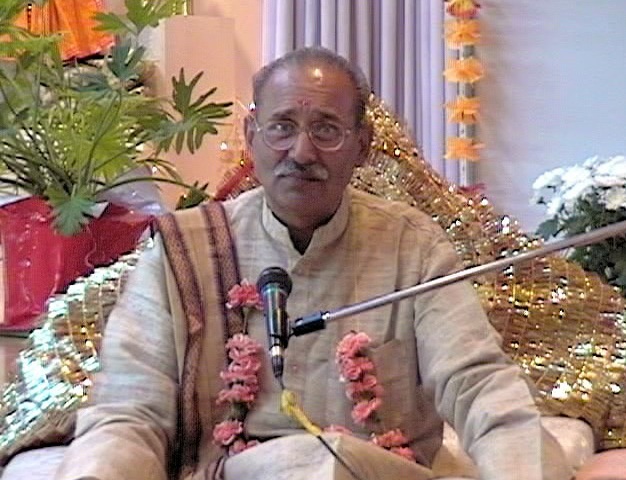 Baijnath Sharma Prachya Vidya Shodh Sansthan in year 2005 in rememberance of his late father Pt. Baijnath Sharma. Dr. Sharma was a complete man of this time. He maintained the legacy of his forefathers very well. He is known today as a scholar in ancient sciences in our scared books like Vedas and Brahmin Granths and he spread his message of ancient Hindu philosophy and sciences in many a countries. He took birth in the parentage of late Sh. Baijnath Sharma, who was a renowned astrologer, inventor and Homeopath of his time, on 9th Oct 1947 at Hathras. He was nurtured in a family where all the time the front room was filled with the learned astrologers, Pundits and who’s who of Hathras. So right from his childhood he was fond of learning new things and writing poems and was a good speaker in debates & logical discussions. He was a good player of Hockey in his school team and was the first President of Students Union in his college i.e. PC Bagla Degree College, when he was doing there his BA degree. Then he went to Allahabad for higher studies; There he completed his MA in Hindi with 2nd rank in Allahabad University in year 1971. He did M Phil with the subject “Swatantroyattar Hindi Kavita Mein Lok Jeevan” from Allahabad University in 1977. He was an avid reader and poet in his college years. As Allahabad was the main hub of Hindi poetry so he joined the “Nayi Kavita” bandwagon and he performed in many Kavi Sammelans attended by senior poets of that time like Mahadevi Verma, Suryakant Tripathi “Nirala”, Mahavir Prasad Dwivedi etc… Mahavir Prasad Dwivedi wrote Preface for One of his poem collection. In his Allahabad years, he wrote so many poems and essays, which were later published in various poem collections and different magazines like Kadambini, Dharmyug etc. He was a regular speaker on the AIR Allahabad Radio on different subjects. His poems have deep feelings of sorrow and joy with a great positive approach. Till late in his life he had some distinct and special habits of reading and thinking, He preferred to read a book in one sitting. He read “Soor Sagar” in one sitting as his friends tell. Apart from being a Hindi scholar he had a good acumen in Math also and when he prepared horoscopes, without using calculators, he does calculations in his mind. He retired as a Reader in Hindi at D S College, Aligarh in 2009. He was married to Smt. Asha Sharma in 1974 and had four sons. He earned fame and social respect with his another virtue that is Astrology. His family is known for Astrology and Panditya, So with his job as a reader he earned fame as an Astrologer also. He is member of “Astrological Research Projects” and “Vishwa Jyotish Vidyapeeth”, Calcutta. He delivered lectures on Shri Mad Bhagwat and Shri Mad Bhagwat Gita at various parts of India. As a Hindi Reader he had written so many schoolbooks for Hindi and Sanskrit, these books are being taught in many CBSE schools. He was invited time to time by many universities and institutions for lectures and seminars on Hindi and Sanskrit like Agra University, JNU, Aligarh Muslim University, Ruhelkhand University, LIC of India, and Railway Boards etc. More than 10 students were awarded Doctorate degrees under his able guidance. There are so many published works by him; few of these are “Jawahar Jyoti”, “Anang”, “Main Hastakshar Nahin Karoonga”, “Man Sampati”, “Dadhichi” etc. Beside all these he was working on a research work on ancient sciences. He proved that ancient Sanskrit scriptures contain a lot of codified Math and Physics methods and formulations. He presented a lecture in Agra University on “The measurement system in Ancient India” regarding the same. He also visited many foreign lands for Hindi/ Sanskrit teaching, lectures on Hindu Philosophy and on Hindu religious books. He was invited by societies from Canada & USA to deliver lectures on Hindi, Sanskrit, Gita and Hindu philosophy many a times. He visited Newzeland, Australia and Fizi to deliver lectures. His lectures were also aired by the Radio Jhilmil (Hindi FM Radio channel in Canada). As a social figure he was elected President of “Sanatan Dharam Sabha, Hathras” two times. 101 societies and institutions of Hathras honored him when he was back from Canada first time. He was a person of diversified personalities and has an astonishing effect on the person who met them. He gives consultation on Astrology to their disciples. He also taught Indian Astrology at his home without any fee to interested persons. He founded “Pt. Baijnath Sharma Prachya Vidya Shodh Sansthan”, in remembrance of his father Sh. Baijnath Sharma. Now this institute publishes quarterly magazine “Prachya Manjusha” and works towards teaching/ researching ancient Sanskrit scriptures for their scientific significance. The institute in his able direction organized so many events on Astrology, Poetry, Ayurved and many more subjects. In his last year he completed his book on The measurement system in Ancient India and in it he had compared ancient measurements, astronomical distances with the latest scientific findings. He passed away on 30th Sep 2012 at Aligarh, when he was addressing a seminar on astrology due to cardiac respiratory arrest. After him in his family there are her wife and four sons who all are well settled.